The Venice Film Festival has announced the full program for its 66th edition, which will run September 2-12, 2009. Twenty-three films will be competing for the coveted Golden Lion, which in the recent past has been awarded to Darren Aronofsky’s “The Wrestler” and Ang Lee’s “Lust, Caution.” American productions led the pack, with new works from Michael Moore, Werner Herzog, Todd Solondz, George A. Romero, the directorial debut of fashion designer Tom Ford, and John Hillcoat’s adaptation of Cormac McCarthy’s “The Road” all heading to the Lido. Other highlights included new works from Fatih Akin, Yonfan, Shinya Tsukamoto, and an impressive French quartet in Patrice Chereau, Claire Denis, Jacques Rivette, and Jaco van Dormael. It was also noted that an additional “surprise film” will also be screening in competition. The festival also announced seven films screening out of competition, as well as its Cinema Del Presente program and its Midnight Screenings selections. Paco Plaza and Jaume Balaguero’s “[Rec] 2,” Joe Dante’s “The Hole,” Steven Soderbergh’s “The Informant!” and Grant Heslov’s “The Men Who Stare at Goats” are among the non-competition, while Oliver Stone’s Hugo Chavez documentary “South of the Border” and the latest from Abel Ferrara (the director the original “Bad Lieutenant,” on hand for the premiere of the not-quite-remake-or-sequel) screening in the Cinema Del Presente section. The complete list of announced titles is listed below. You can also check out indieWIRE‘s stories on the previous announced Venice Days sidebar, and the festival’s jury selection. A scene from Michael Moore’s “Capitalism: A Love Story.” Image courtesy of Overture Films. 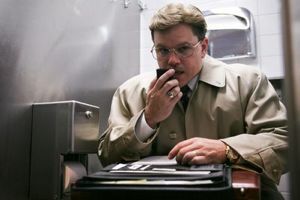 A scene from Steven Soderbergh’s “The Informant.” Image courtesy of Warner Brothers. 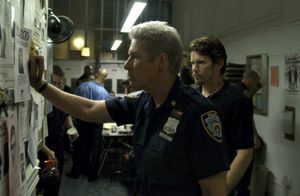 A scene from Antoine Fuqua’s “Brooklyn’s Finest.” Image courtesy of the Sundance Film Festival.